Pune, 30th January, 2019: The Automotive Component Manufacturers Association of India (ACMA), the apex body of the auto component industry in India, is hosting the fourth edition of ACMA Technology Summit on 29th and 30th January, 2019 in Pune. With several technology disruptions including newer norms on emission, safety, and consumer trends towards connectivity, on the anvil, the auto component industry needs to adapt and transform through systematic R&D, creation of new products and upgradation of skills, to stay relevant and competitive. It is in this context that the Summit has been themed ‘Indian Auto Component Industry – transforming to stay competitive’. 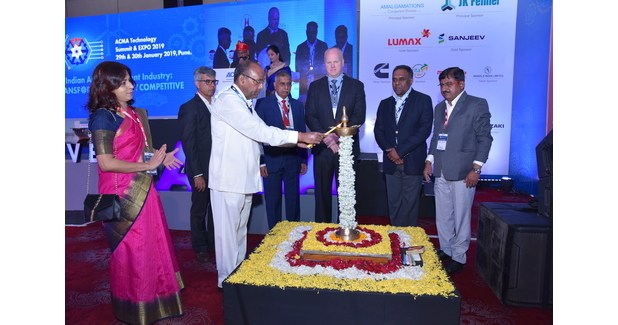 The summit was attended by Anant Geete, Union Minister for Heavy Industries & Public Enterprises, Government of India, Thomas Flack, President & Chief Procurement Officer, Tata Motors Ltd., Ram Venkatarmani, President, ACMA, Deepak Jain, Vice President, ACMA, FR Singhvi, Chairman, ACMA Skilling & Mentoring and Vinnie Mehta, Director General, ACMA. Coinciding with the Summit, the ACMA Annual Awards were conferred, honouring excellence in the auto component industry. The 4th ACMA Technology Summit brought together national and international specialists in the field of Industry 4.0, telematics and innovative technologies that are shaping the automotive environment of tomorrow. The summit witnessed incisive sessions on Industry 4.0, electric mobility, AI, retrofitting technologies, renewable energy among others, addressed by distinguished industry luminaries that focussed on improving quality and adopting new technologies, keeping in mind the concern for environment and sustainability. Additionally, ACMA Awards were also given at the Summit. This year there were 224 applicants, of which 82 winners were awarded. The winners of ACMA award also shared their success stories at the Summit. The ACMA awards, since their inception in 1966 are today the most covetous in the automotive sector. The awards, which began as a means to recognise and motivate excellence in manufacturing, have today 14 broad categories including excellence in manufacturing, exports performance, technology, quality and productivity, HR, health safety and environment, automation, digitisation, business growth, resource optimisation, to name a few. Several of these categories have been further curated to give special focus to small and medium enterprises. Ram Venkatarmani observed that while growth in the automotive industry is imminent, there is a need to ensure that the sector, especially tier-2 and tier-3 are ready to harness newer opportunities. 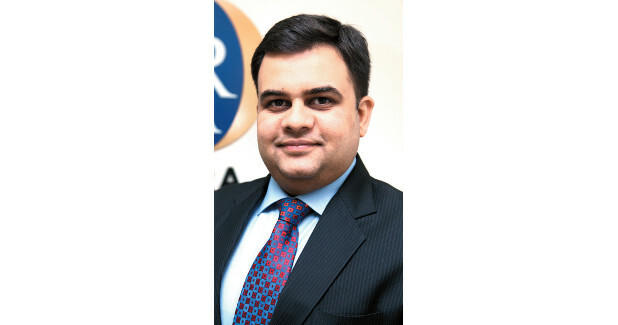 “Tier-2s and 3s pose the single biggest challenge for us today and it is critical that they be upgraded to world-class levels of performance, especially on the front of quality, processes and delivery. Tier-1s will have to play the role of mentor and guide to this segment of the industry or else the entire value chain will collapse”. There were several case studies and panel discussions held at the summit which included overcoming competition by excellence in entire business stream, supply chain sustainability in automotive sector, digital (EHS) environment, health and safety, how Indian &/or global automotive industry is transforming to stay competitive, Industry 4.0 and engineering the future – sustainable solutions with focus on e-mobility retrofitting. There were also discussions on how to make best use of surveillance video (CCTV) in the area of Occupational Safety and Health, corrosion free materials and opportunities for research, resource efficiency, cleaner production for enhanced competitiveness and innovation in auto components sector, and solar power for a zero carbon future. The event culminated with a panel discussion on ‘Digitisation – business imperatives to drive efficiency in the supply chain’.